We just wanted to point you in the direction of a great event taking place at the West Barn from 2.30pm tomorrow (28th September). 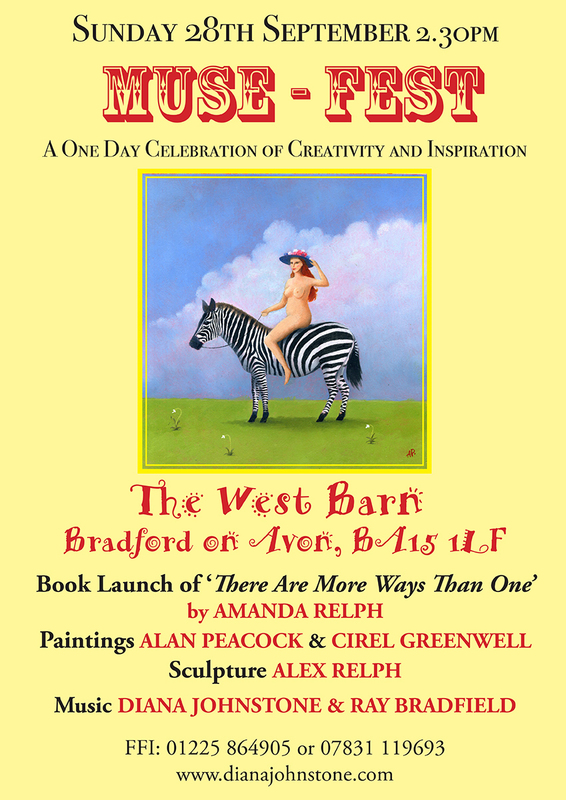 The Muse Fest includes book readings and signing by Amanda Relph, paintings by Alan Peacock & Cirel Greenwell, sculpture by Alex Relph and music from Diana Johnstone & Ray Bradfield. This entry was tagged Alan Peacock, amanda relph, Bradford on Avon, Cirel Greenwell, Diana Johnstone, Muse Fest, Ray Bradfield, West Barn, Whats on. Bookmark the permalink.